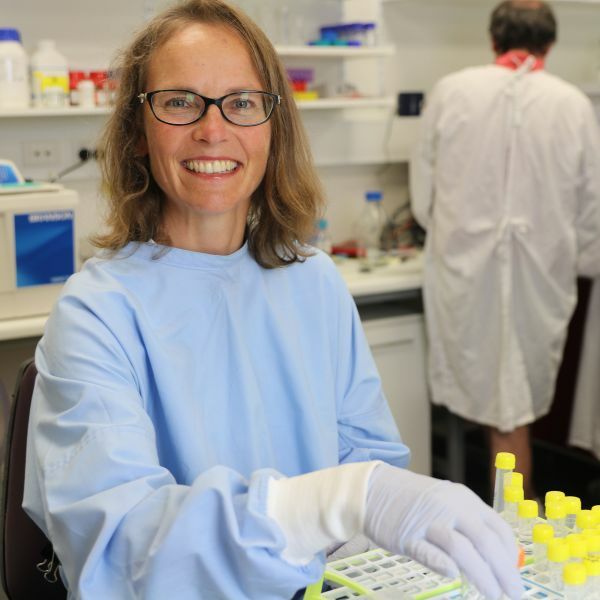 University of Newcastle’s (UON) Professor Jennifer Martin has received $1.96 million in Cancer Council NSW research funding to develop a personalised chemotherapy dosing system for cancer patients to improve quality of life, reduce side effects and increase chance of survival. Leading clinical pharmacologist Professor Martin and her team were awarded a Cancer Council Pathways to a cancer free future Grant at Cancer Council NSW’s annual Research Awards in Sydney yesterday. As part of the Hunter Medical Research Institution (HMRI) Cancer Research Program, Professor Martin said finding the right treatment drugs for patients is only part of the puzzle to increase patient success rates and quality of life during cancer treatment. “The other key piece is to provide patients with optimal and personalised chemotherapy dosing. My team will test and validate how both current systems and new technologies could be used in real time to find the ideal dose and blood level to improve their outcomes,” Professor Martin said. “By monitoring chemotherapy levels early in treatment, clinicians will be able to adjust doses to achieve the ideal blood level. This will lead to direct and significant benefits for patients across wide population groups including enabling greater accessibility for rural and remote patients,” Professor Martin said. Senior Deputy Vice Chancellor and Vice President - Global Engagement and Partnerships, Professor Kevin Hall, said the funding reflects UON’s leadership in cancer research and commitment to finding life-changing solutions to improve the lives of people in our communities. “I would like to congratulate Professor Martin and her team in taking another step to find a new solution to fight cancer and change patients’ lives. Monitoring how effective drugs are in practice and personalising dosing will be a game changer in improving health outcomes,” Professor Hall said. Cancer Council NSW has awarded over $10.6 million to 17 outstanding cancer research projects. The grants help fund future breakthroughs in cancer research – the awarded research teams are leading the change towards a cancer free future by investigating new ways to treat the disease. Cancer Council Hunter Central Coast Regional Manager, Mr Shayne Connell, said the local community had been invaluable in raising funds to support the work of researchers like Professor Martin. “Professor Martin and her team, as well as many of the research teams we have funded this year, are world leaders in their area of specialty, and are positioned to rapidly translate their findings into practice. We look forward to seeing the results of this vital research,” Mr Connell said. “The broad range of projects that we fund – across many types of cancers and aspects of the cancer journey – shows Cancer Council NSW’s commitment to work across every area of every cancer,” Mr Connell said.